An early producer of large, juicy strawberries with mouth-watering flavor. 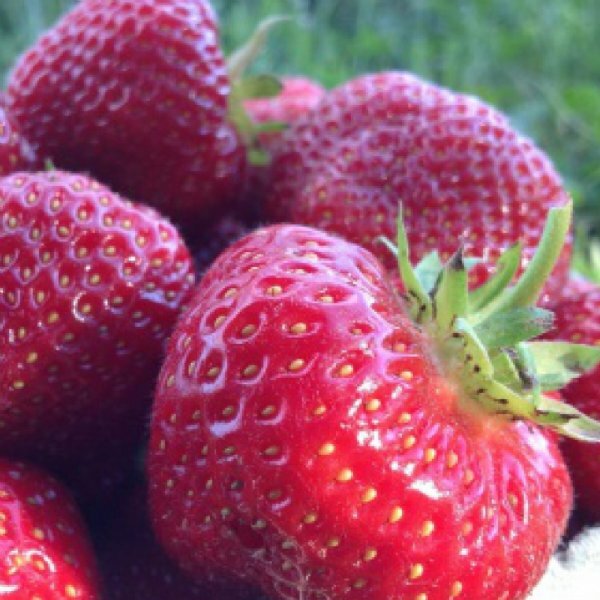 Cavendish Strawberry is a high-yielding variety with that is excellent for fresh eating, canning or freezing. It is the preferred choice for northern gardeners. Has good disease resistance. Comment: I bought 50 Strawberry plants and they were bare roots. Which means they literally look like roots and a weed when you get them. They break apart easily. I soaked them for two hours before planting them. They have sprouted wonderfully and I haven't lost one plant yet. I'm excited about getting strawberries this fall!! Comment: Cavendish Strawberry plants arrived on time and all are live and healthy. They are in my sun room, waiting for this up and down mid-west weather to get warm enough for the plants to go into the soil! Comment: Planted them in a raised bed and put a mesh cover over them to keep my dogs from nibbling on them (an ongoing problem with 3 dogs!). They are all thriving and I'm excited to have strawberries for the first time in many years.